Summer roses… inspired by a wonderfully beautiful photo by Guy Aroch that I found on moodboard. 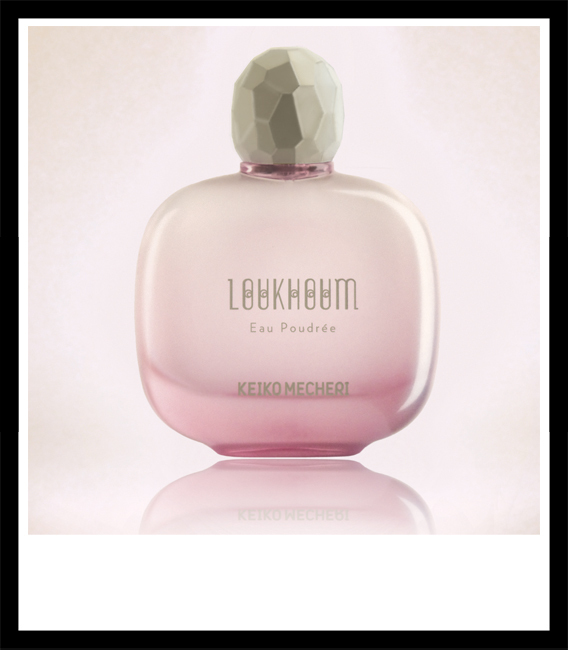 I love Loukhoum Eau Poudrée by Keiko Mecheri. This gourmand rose scent really melts on your skin like buttercream. Musky, sensual, powdery, wonderful! My twin sister has been wearing the original Loukhoum for about five years now, also on her wedding day, which we all celebrated on Ibiza, my holy little island. I am the little sister, five minutes younger, and I prefer the lighter version, the Eau Poudrée. Loukhoum Eau Poudrée is my new summer love as it is soft and warm and develops wonderfully on sun kissed skin. The opening with almond and rose is amazing. In the heart the scent pales down with accents of violet leaves into a base of vanilla and cream. Not to forget the tingling aspect of effervescent powder, which brings a very young character to this scent. This is by far (dare I say it) one of the most unique rose perfumes I know. It is a heavenly mixture of the same named Turkish delight and candied almonds without being girly or annoying. 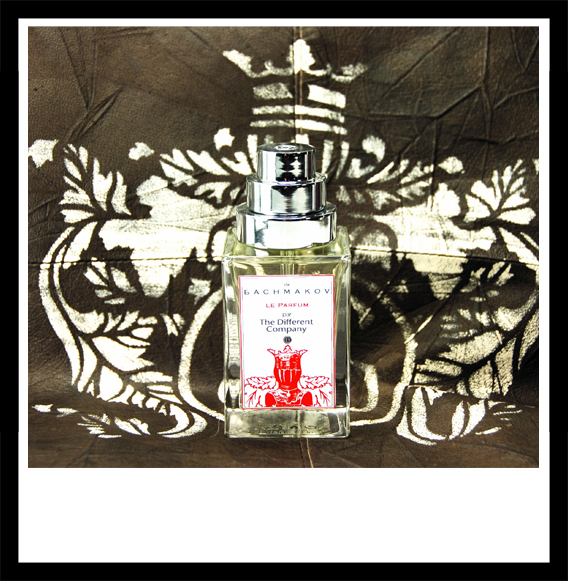 Loukhoum Eau Poudrée is less sugary than its big sister and due to the musk it has a slightly animalic touch. It makes you just feel irresistible. That’s it. 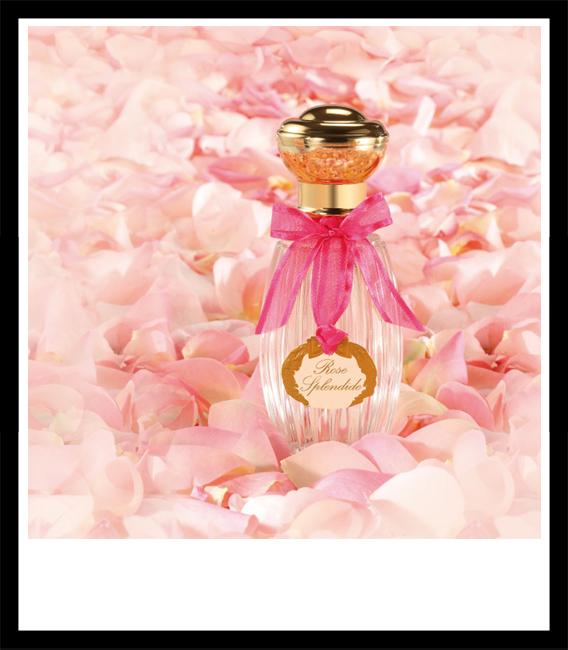 The limited edition of Rose Splendide Eau Parfumée was released in 2010. 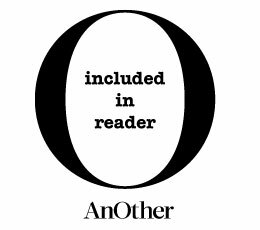 You absolutely should get one before it’s sold out. I’ve read that Annick Goutal was obsessed with how a rose can smell like a pear and vice versa. It’s so true! The sweetness of the pear underlines the rose in such a beautiful manner that you imagine to feel the velvety, cool petals touching your nose. Rose Splendide Eau Parfumée is insanely beautiful. It is green and fruity, wonderful for the summer time, light and uplifting. Green leaves and the botanical smell of peonies remind me of the freshness of the morning dew on a rose before sunrise. It’s great to spray it on after the shower, this scent gives you the feeling of being a woman, strong and at the same time fragile – always beautiful. The pear is very intense in the opening but fades out after some minutes to clear the way for the rose, the queen of the flowers. The sweetness of the fruit serves now as a means to an end, to make the rose full-bodied and luscious. The result is gorgeous and very authentic. Musk and vanilla in the base make Rose Splendide Eau Parfumée a very seductive fragrance. If you love Petite Chérie by Annick Goutal which is about pear and rose you will also love Rose Splendide Eau Parfumée. While Petite Chérie sets its focus on the pear, Rose Splendide Eau Parfumée focuses on the rose. Just the other way round. 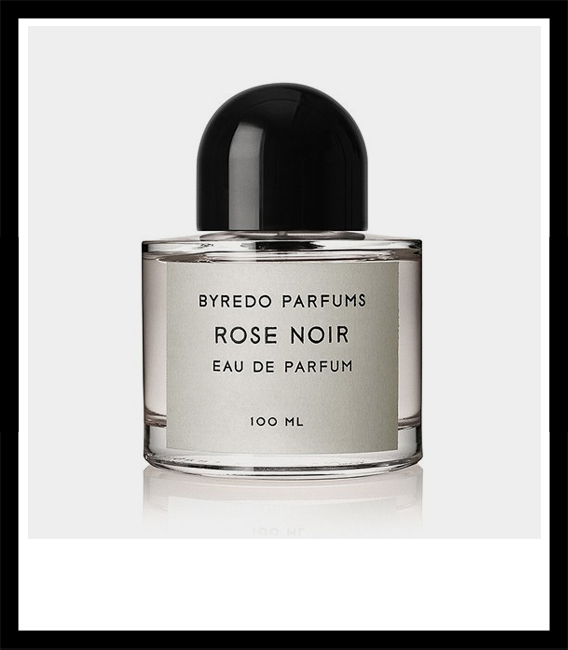 Rose Noir by Byredo is a rose perfume I would recommend for the guys. And there are only a few rose scents I would choose for men, amongst others Red Aoud by Montale. Rose Noir is mysterious and dark like the atmosphere of a Benedictine abbey, maybe you remember the atmosphere in the film The Name of the Rose – mysterious and scary. You can feel the heavy wood of the library, the cold shadows in the old masonry and from the garden through a small window a sudden ray of light with the smell of a single dark rose underneath the window. This rose is lush and of the deepest red you have ever seen. Do you know these dark red roses that seem to have a black shadow on their petals? That kind of rose. But the perfume has also lucid moments that are sitting like dew drops on the petals, filtering the light. In between Rose Noir smells like cotton – a wonderful contrast to the darkness of the rose. The moss adds a masculine touch to the rose and the tart drydown develops perfectly on men’s skin. There is even a hint of honey without being sweet. My special recommendation for the guys. Dare to be a beautiful flower! Women will follow you. De Bachmakov smells like an entire herb garden. One note that is not listed by The Different Company dominates the opening: clary sage. I like this unique and slightly sharp smell, which is present at all stages of this fragrance. Thai basil, coriander leaves, nutmeg, bergamot and woody notes dance around this rather sharp outlaw. A crystal clear composition that seems to be mixed with vodka and ice cubes. Anyway – if I had not known that this was supposed to be a Russian scent I wouldn’t have figured it out. The creations of The Different Company are all very natural scents, not only the ingredients but also the smells. That applies to De Bachmakov too. I can imagine that this perfume is a very refreshing elixir at the end of a hot summer day when it’s cooled in the fridge. I disagree with people who say tulips don’t smell. Tulips have a wonderful unique flavor and there is nothing more beautiful than to plunge your nose into a tulip head. Currently, I always have a bouquet on my desk – preferably parrot tulips, because I love the fringy petals and the irregular coloring. I was very curious about Byredo’s new perfume and now I have it here in front of me. The Swedish manufacture is part of the Intertrade Europe Group. La Tulipe starts with some rhubarb and a very intense freesia note – as if they are right in front of my nose; and freesias have a very intense smell anyway. There is a sudden chilly sweetness. At the same time the scent has something moist like morning dew on a flower. This is really a coincidence because a friend of mine asked me to find a freesia perfume for her – I have finally found it! But what I cannot discover is the typical tulip smell, nor the flavor of freshly cut green stems, which some of you might associate with a typical tulip flavor and which Christopher Brosius managed to create perfectly with his scent To see a flower. However La Tulipe is a beautiful spring floral, that has some woody, earthy notes towards the drydown and which makes me longing to walk barefoot over moist green grass.